5.5 miles South of Wells: Take Rt. 30 for 3.2 miles N. of Northville, and make a left onto County Rt. 6 (Benson Road) towards Benson. Make an immediate right onto River Road, and drive north for 4.6 miles until the drivable road stops. From here, it is a 1.8 mile hike to the top of the series of 3 waterfalls. The first waterfall, 30 ft in height, can be heard at approximately 1.6 miles from the trailhead. Scramble down to the stream to view the falls. Follow the stream further upstream to reach the other 2 waterfalls, both require a hike downhill to see them. 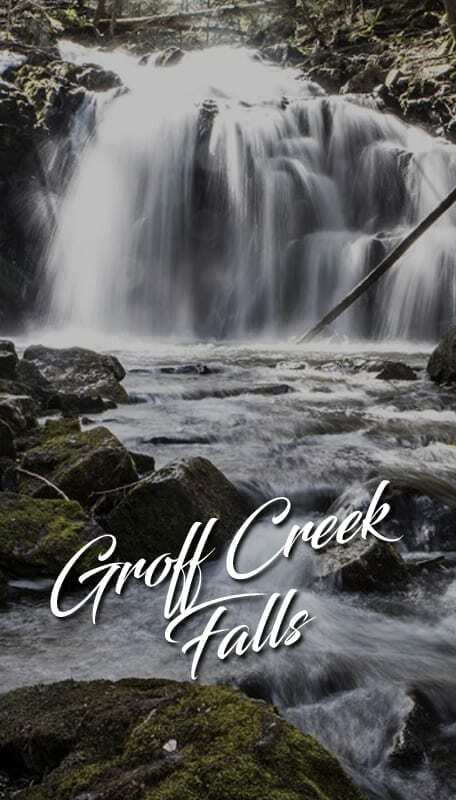 There are a series of 3 waterfalls along the Groff Creek, all of which take some extra effort to get into position to see the falls. The first 2 are more difficult to get to than the 3rd.